/ What is a Fixed Price Incentive Fee Contract? PMBOK® Guide defines 3 different types of Fixed Price (FP) Contract. I have written about Firm Fixed Priced Contract (FFP) and Fixed Price with Economic Price Adjustment Contract (FP-EPA) in other posts. In this post, I will talk about Fixed Price Incentive Fee (FPIF) Contract. You should also read the formal explanation and example of different Contracts before reading this article. The basic nature of FPIF Contract is very much like a FP Contract but there is some price flexibility built into the contract. The price flexibility is achieved through financial incentive(s). The Buyer and Seller agree upon financial incentive(s) and establish some performance criteria as part of the contract. The Seller is entitled to the agreed upon incentive(s) after meeting or exceeding the established performance criteria. FPIF Contracts can have provision for negative incentives also. These are often called penalties. The penalties are levied in case the Seller does not meet established performance criteria. In FPIF Contract, the final price is determined only after completion of the contracted work. The final price can vary based on the performance of the Seller. In FPIF Contract, the Buyer and the Seller can use any project parameter to establish the performance criteria. Project parameters can include Schedule, Cost, Quality, technical performance etc. Following are some examples of performance criteria. The defined performance criteria can be based on a single project parameter or on a combination of multiple project parameters. One of the more popular performance criteria is based on cost performance of the Seller. The cost performance is established by defining Cost Targets at the outset. I have written a separate articles on cost related performance targets and Point of Total Assumption. I have explained 6 different FPIF formulas in these articles. The same general formula that we discussed for FFP contract, is applicable for FPIF Contract also. The formula is explained in my previous article PMP Formulas behind Contract Types. The definitions of Price, Cost and Fee are also explained in the same article. The Fee calculation can be done only after determining the Incentives as defined in the Contract. I hope that you were able to understand part of the topic. In the next post, I will talk about cost related incentives and Point of Total Assumption. Meanwhile, if you have any question, please leave a comment. You can refer to Max Wideman Glossary to read some standard definitions of Fixed Price Incentive Fee Contract. I hope you were able to understand the formulas behind FPIF Contract. Please leave a comment if you have a doubt. I think you are talking about different type of contract known as “Guaranteed Maximum Price Contract (GMP). It is different from the fixed price incentive contracts.. Thanks for your comment. GMP is definitely different from FPIF. As per my understanding, GMP is a special case of Cost Plus Fixed Fee (CPFF) – contractor is paid a fixed fee subject to a ceiling price. Wikipedia (https://en.wikipedia.org/wiki/Guaranteed_maximum_price) also says the same thing. In FPIF, contractor is paid a fixed price plus (positive or negative) incentives depending on the performance. 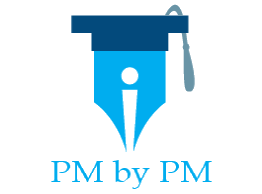 In this blog, I have explained only those contract types that are mentioned in the PMBOK Guide. GMP is not one of them. Please let me know if I have written something wrong in my article.